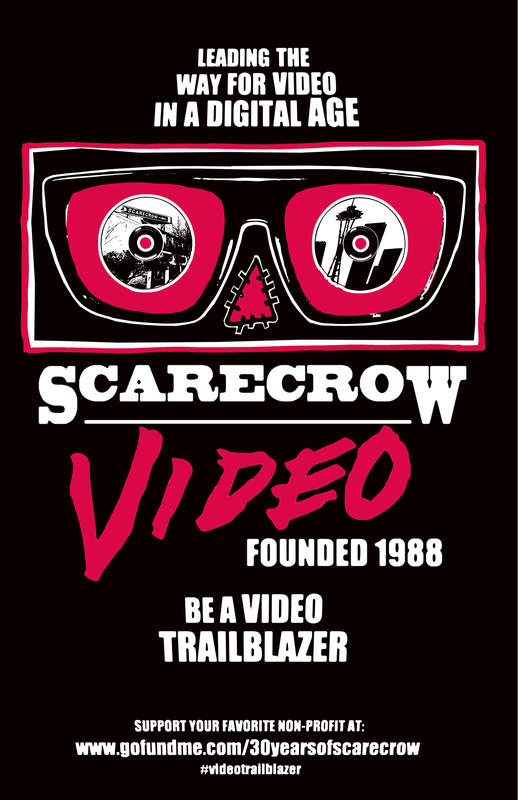 Scarecrow Video is celebrating 30 years of connecting people with their new favorite films and in honor of this landmark occasion, we’re launching a 30th Anniversary Fundraiser to lay the foundation for our next 30 years. Proudly non-profit since 2014, your support has allowed us to keep this important collection alive. At 131,000+ titles (three times the number currently available from major streaming services), we give you the power to curate your own viewing experience like no corporation can. You’ve also helped us develop unique community outreach efforts. Our screening room hosts free movies and lectures nearly every night, we’ve created programs that deliver meaningful content to families and seniors, and we are currently working with high schools and universities to provide educators with media and the expertise of Scarecrow staff to supplement their lessons. But most importantly you have kept this collection — the largest publicly available collection in the world — growing and thriving. From international blockbusters to local micro-budgets, from anime to Zoetrope, Scarecrow provides unparalleled access to important, diverse voices and you make it happen. To keep this collection thriving, please support us during our anniversary fund drive by visiting our GoFundMe. To show our appreciation, we’re offering gifts and opportunities to connect with Scarecrow in unique ways. Learn more about those here. Your gift will assure that this important collection remains publicly available, and you will be funding our continued effort to develop new ways to connect people with their next favorite films. Join us as we lead the way for videos in a digital age! BE A VIDEO TRAILBLAZER. GIVE TODAY.